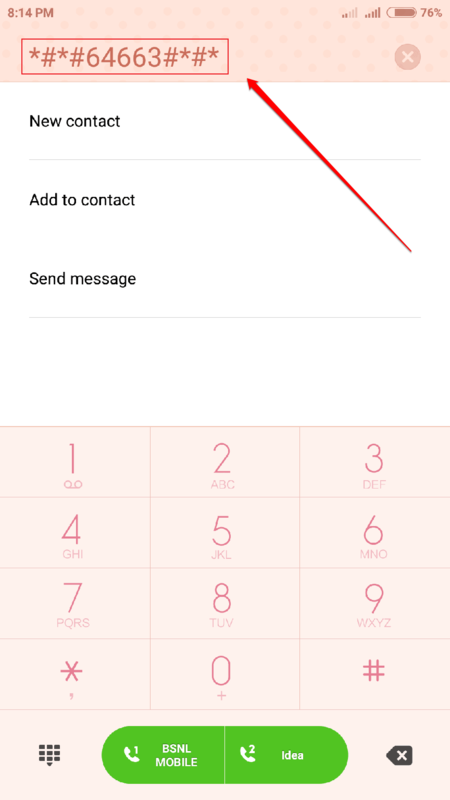 [Fixed] – Phone Display Not Turning On And Off Properly In Android:- You are on a call and you move the phone away from your face. The display turns off, and yeah, don’t worry, it is just normal. That’s how the proximity sensor should work. But once the call is over and still your display doesn’t turn back on, then that’s something abnormal, I should say. It creates a lot of problems when your phone display declines to turn on after a call and you are unable to disconnect the line. The only solution is turning off the phone otherwise you would be charged for the extra minutes by your mobile operator. The situation can’t get any worse, can it? Well, we are here to help. 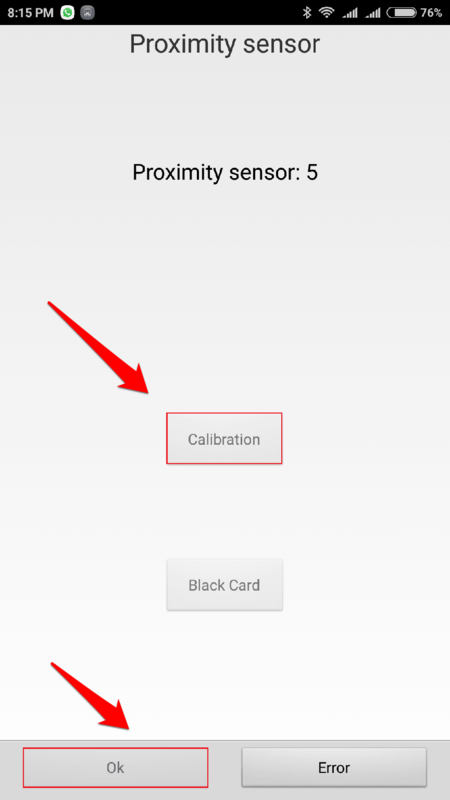 Check out the article to fix all the issues that your Proximity sensor has. Lauch your phone’s dialpad. As next, type in the following code and it will automatically redirect you to a QC Test page. If it doesn’t work, you could try another way to reach the QC Test. Go to Settings, scroll down and find the option About device. As next, find the entry Kernal version under About device. Tap 4 or 5 times on it. This should open the <QC Test page. Now the QC Test page opens up. As next, you have to find the option entry for Proximity sensor. Once you have found it, simply click on the option. 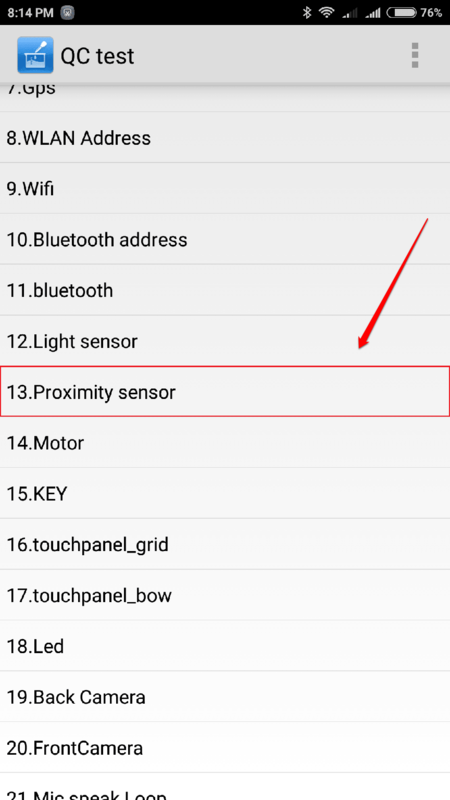 In my phone, the Proximity sensor option entry is listed as the thirteenth one. Find the one in your phone. The page to calibrate Proximity sensor opens up. You have to click on the Calibration button first. Wait for a little while. This will calibrate your phone and will display a Pass message. Once you are done, simply click on the OK button. If you have any doubts, refer to the screenshot given below. That’s it. Now you can try whether your display turns on or off properly during and after a call. It will most probably be all set. Hope you found the article useful. If you are still facing the same issue, please let us know that by leaving comments. We would be more than happy to help.